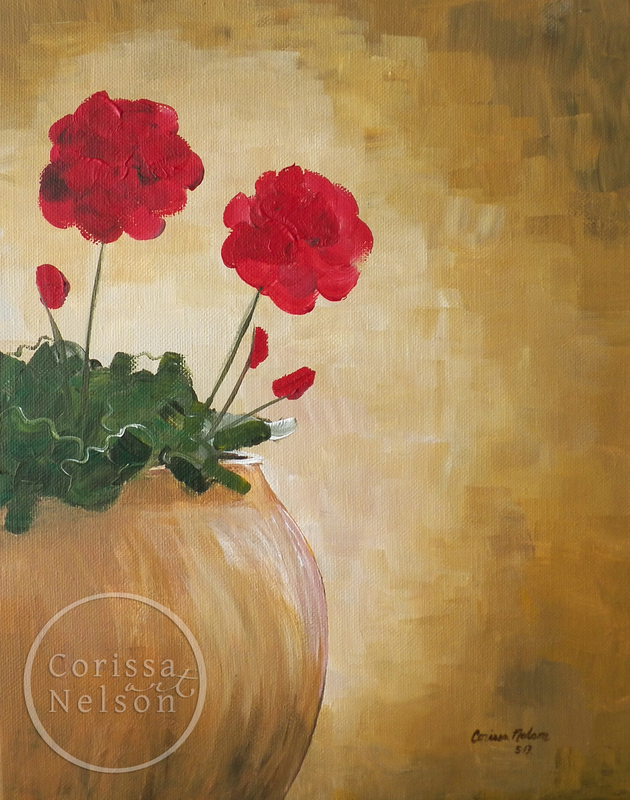 "Geraniums in a Clay Pot" is a recent addition to my collection of flower paintings. It is available here. This is a set of commissioned paintings for a baby nursery. 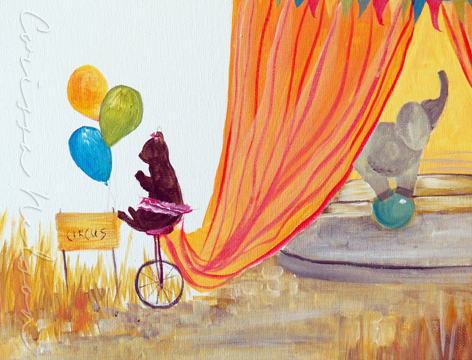 I really enjoyed painting the little circus friends. I have to say, I love the tiger. My daughter is a fan of the bear wearing a tutu. 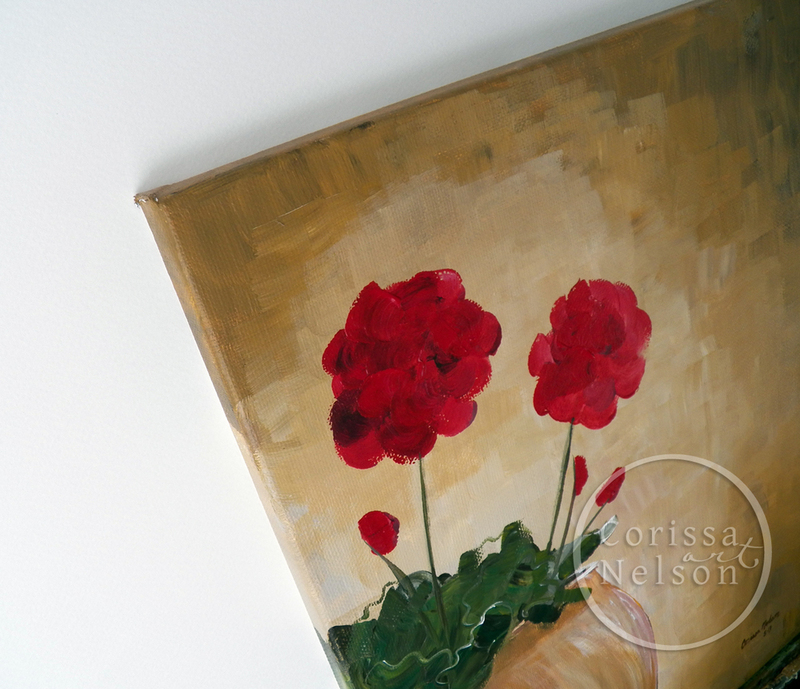 If you love this look, you might also enjoy these two pieces of artwork available in my Etsy shop.